If equal affection cannot be,Let the more loving one be me. 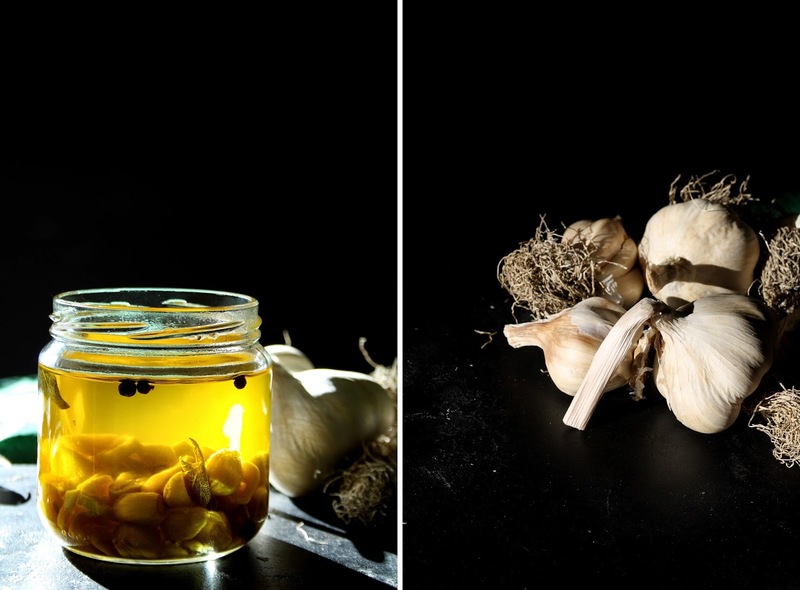 I have never been able to keep garlic for long (if you have any tips, please share them) so when my neighbour gave me a huge wicker basket full of garlic back in October, I knew I had to find a way to use a lot of it and I made a batch of this confit. It has since become one of my favourite recipes. Peel the garlic cloves and place them in a small saucepan (preferably thick-bottomed) along with the sage, juniper and pepper. Cover with enough oil, bring to the boil and then let simmer on low heat for 45 minutes (the oil must not boil). Let cool and transfer into a jar (that you have sterilised in boiling water before). The confit keeps 3 to 4 weeks in the fridge. If you decide to make garlic cream (and you can do so by blending cloves with a little salt), it will only keep a few days (but will be gone quickly). Peler les gousses d'ail et les mettre dans une petite casserole à fond épais avec la sauge, le genévrier et le piment. Recouvrir d'huile, laisser frémir, baisser le feu et laisser mijoter à feu très doux (il ne faut pas que ça bout) pendant 45 minutes. Laisser refroidir puis transférer dans un bocal préalablement stérilisé dans de l'eau bouillante pendant quelques minutes. Le confit se garde dans l'huile 3 semaine - 1 mois au réfrigérateur. Si vous décidez d'en faire une crème, elle ne se conservera que quelques jours (mais se mange plus vite!). this sounds so lovely. 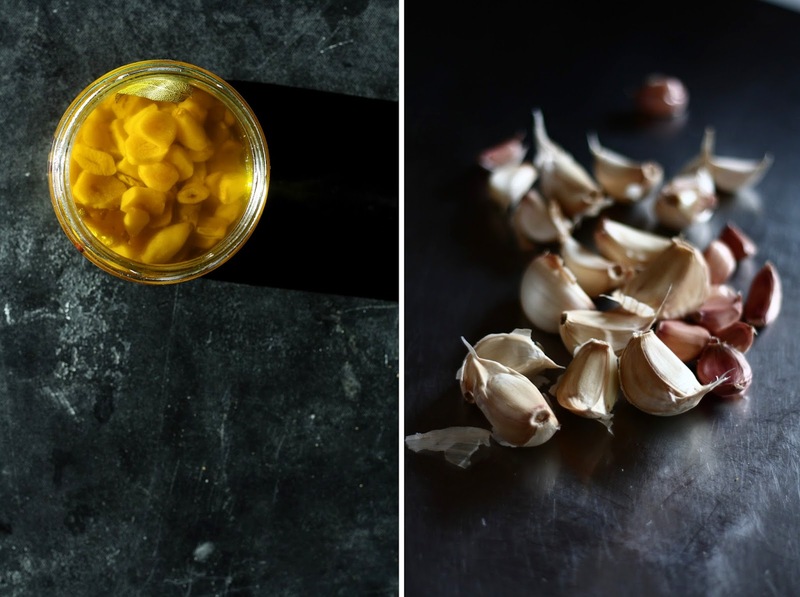 garlic is one of my favorite things and i can imagine how delicious this confit smells when cooking veggies. Superbe recette! Je me suis toujours demandé comment on faisait l'ail confit! Merci! !